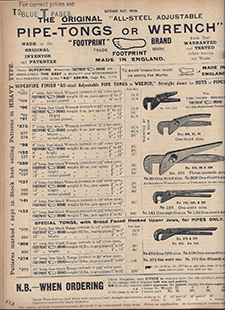 Alfred Ridge & Sons is established suppliers of wood boring tools to the Royal Navy. Invention of the “Footprint” wrench by a Sheffield grinder. 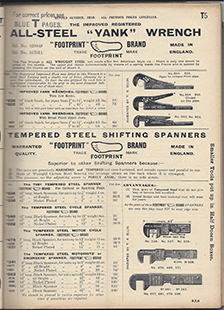 Thomas R Ellin registers a number of designs of products and patents some of them, in particular the Footprint wrench and Footprint adjustable spanners. The new “Footprint Works” is opened in Hollis Croft and remains the company’s home for the next 110 years. 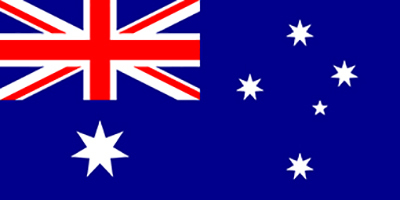 Howard F Hudson is appointed agent for Australia and sets off around the “bush” with a packhorse train of samples and merchandise from Footprint and other Sheffield companies. Thomas R Ellin is awarded the Gold medal for Artisan Tools at the New Zealand International Exhibition. Alfred Ridge & Sons is bought by John J Jewitt Snr. 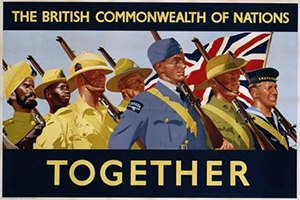 Thomas R Ellin (Footprint Works) Limited is one of the main suppliers of screwdrivers and pipe wrenches to the British and Commonwealth War Department. 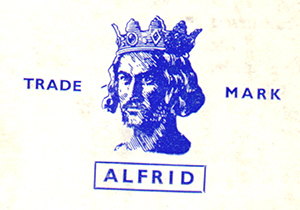 Alfred Ridge (predecessor of Footprint) supplies mine detectors for the D Day landings. Thomas R Ellin (Footprint Works) Limited is bought by John J Jewitt Snr and run independently of Alfred Ridge by his son John J Jewitt. 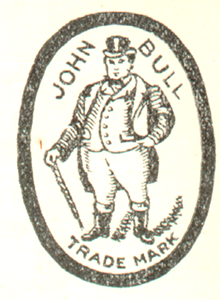 Acquisition of John Bull (Edge tool makers), C H Jenkinson (Cold chisel & bolster makers), Stockport Tool Co (Hand drill makers) & Charles W Bacon (Wooden handle turners). 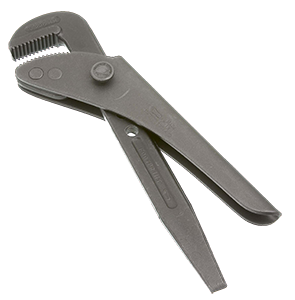 The ten Millionth Footprint pipe wrench is produced. First full length forgings of cold chisels and bolsters are produced. Footprint was the first company in the world to do this, and the method has now been adopted globally by many manufacturers. 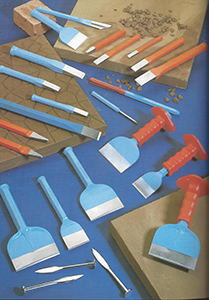 Around that time the first full length Wood Chisel forgings were produced. 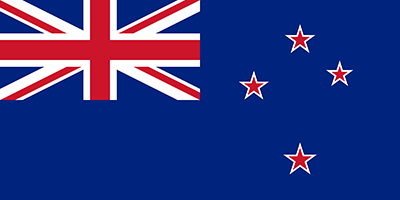 All the companies owned by the Jewitt family are merged into one and the name is changed to Footprint Tools Limited, trading under the brand “Footprint”. The Footprint Line pin is launched in its present fully plated finish. 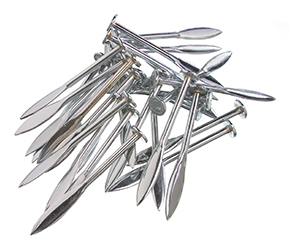 The Footprint line pin is viewed as the market leader and to this day many competitors try to copy our product. 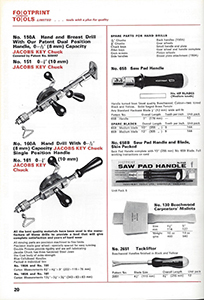 Hand drills with a Jacob’s key tightening chuck are introduced. This concept was eventually adopted by many hand drill manufacturers around the world. 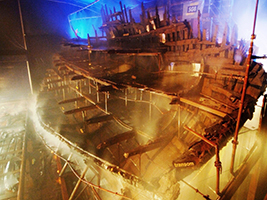 Special augers (between 24” and 48” long twisted section) are supplied to enable the lifting of The Mary Rose, flag ship of HM King Henry VIII’s fleet. Moulded plastic hand guard for the cold chisels and bolsters is introduced. This was the first of its type in the UK and, as you will see in any tool shop, the idea has been copied. 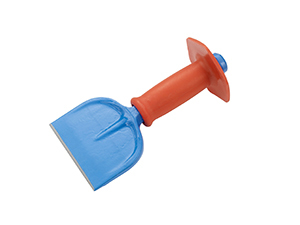 A new design for the protective plastic hand guard on Footprint cold chisels and bolsters is introduced. It proves to be very popular with builders due to its greater comfort and strength. The company becomes a tier two supplier in the Advanced Manufacturing Research Centre with Boeing, part of the University of Sheffield’s Advanced Manufacturing Institute. Footprint buys the machinery, stock and order book for Whitehouse, the Midlands based Hammer Manufacturer. 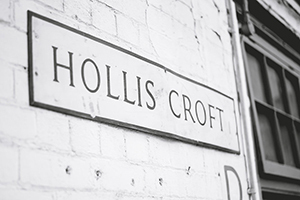 Footprint sells the premises in Hollis Croft and acquires new ones in Owlerton, Sheffield known as Admiral Works, completing the move in 2009. 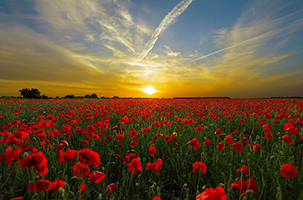 Footprint undertakes a major restructuring due to the global economic crisis. Following the restructure and rationalisation, work starts to re-build the business under the name Footprint Sheffield Limited, the successor to a long tradition of manufacturing quality tools in Sheffield. Footprint continues to make the best quality hand tools offering value for money and reliability for our customers. We have the legacy of two hundred and fifty years of manufacturing experience which demonstrates that when we develop a product, it sets the benchmark in the industry.